You remember the first time you saw the television paused; it was like a whole new world was opened. No more unwanted commercials, no more missing your favorite TV show to go to the bathroom. Now you can just record whatever you want to watch and come back to it when you have time. Dinner is no longer interfering with your prime time favorites. 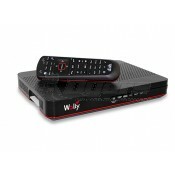 The Dish Network HD Receiver is made for RV living. It’s small, compact enough to fit any cabinet. 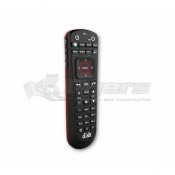 It is custom designed to work with the RV satellite systems. Scan for local channels and get the regular channels. You can either add the service to your home plan or set up a monthly service. Add an external hard drive and you don’t need to pay a monthly fee for DVR services. 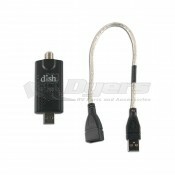 The Dish Network HD Receiver will record, pause and play all your television. Enjoy the day fishing and jet skiing and come home to your RV with all your sporting events recorded. A can’t miss basketball game doesn’t mean a fight with the spouse. You can both get to watch what you want and no more arguing. Get the best of both worlds watch all the television you want and get time to do the things you love outdoors. Don’t argue with the kids about shutting off the TV while you eat dinner. Enjoy you dinner in peace and the kids will enjoy dinner too knowing that when they are done they can get back to watching right where they left off. Enjoy all the perks of home with the Dish Network HD Receiver giving you a crystal clear image on your TV in the RV, as well as at home. After all the excitement and action during the day sometimes all you want to do is come inside and unwind, with the HD receiver you can do just that.